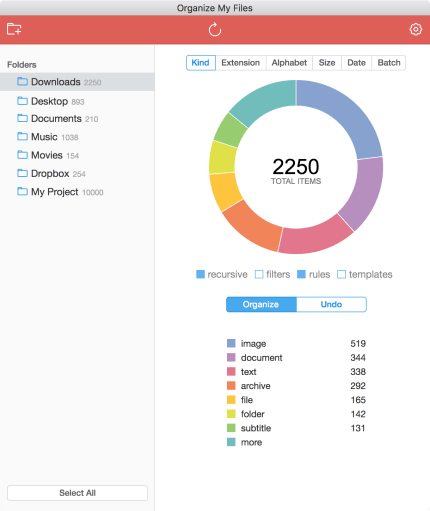 Organize My Files is one click file organizer for Windows, Mac and Linux. 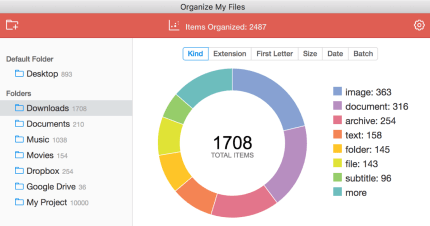 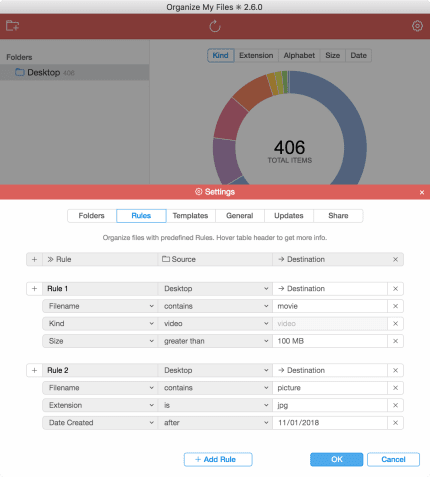 This tiny, flexible, hard-working tool will help you to end the chaos of your unorganized files in a simple click and take your messy folders and Desktop under control. 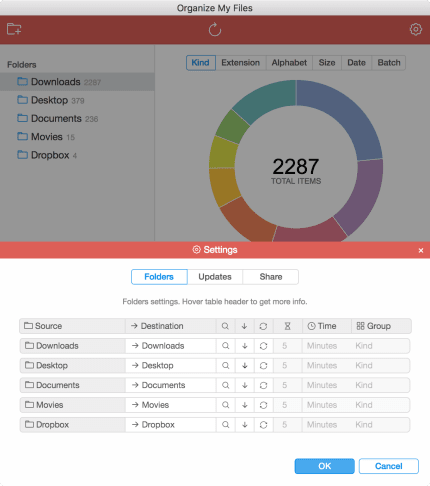 It is intuitively simple, blazingly fast and has variety of presets. 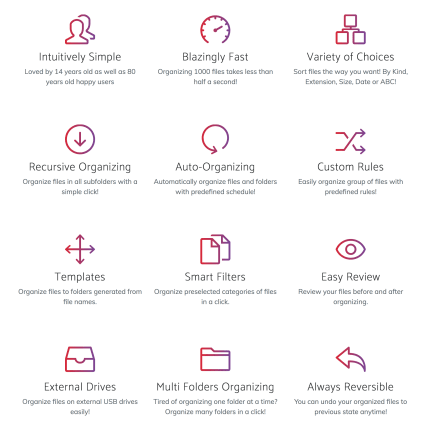 Organize My Files is full of delightful features such as auto organizing, recursive organizing, smart filters and multi folders organizing.